Swamp Wallaby - inhabits thick undergrowth in forests and woodlands, or shelter during the day in thick grass or ferns, emerging at night to feed. 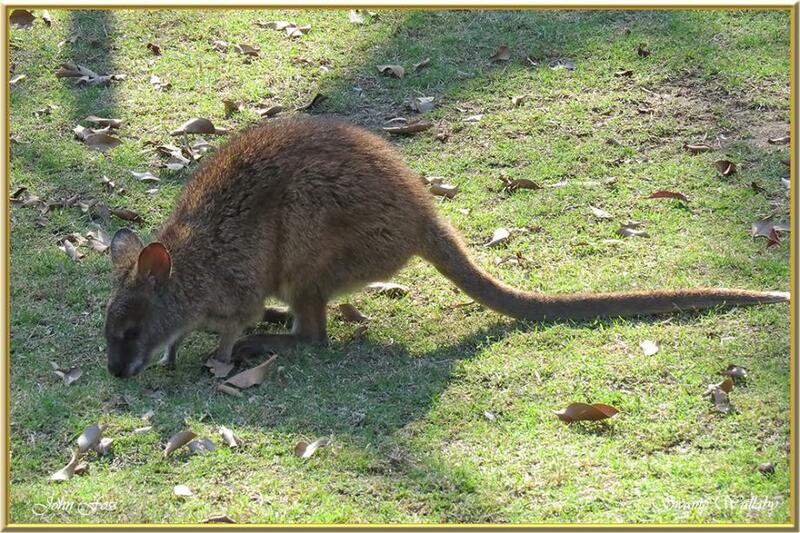 The Swamp wallaby is endemic to the eastern regions of Australia. Swamp wallabies can live in various habitats. However, they usually prefer dense forests, woodlands and swampy areas. Photographed in Bundaberg Queensland Australia.